Under Render Settings > General is a popup menu filled with common dimension presets (a.k.a. 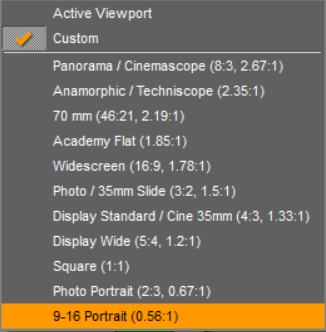 aspect ratios); for example, "Display Wide (5:4)" and "Square (1:1)". Some of these are pretty obscure; they're in no particular order, and 2:3 is missing. Here is a replacement for that list of dimension presets. 1. In Windows open the folder Program Files > Daz3D > DAZStudio4 > Resources. 2. Rename the existing file "dzrendersettingsdimensionspresets.dsx" to something else. JustThisGuy (1 year ago) Inappropriate? This is a text file, so you can edit it in any text editor.